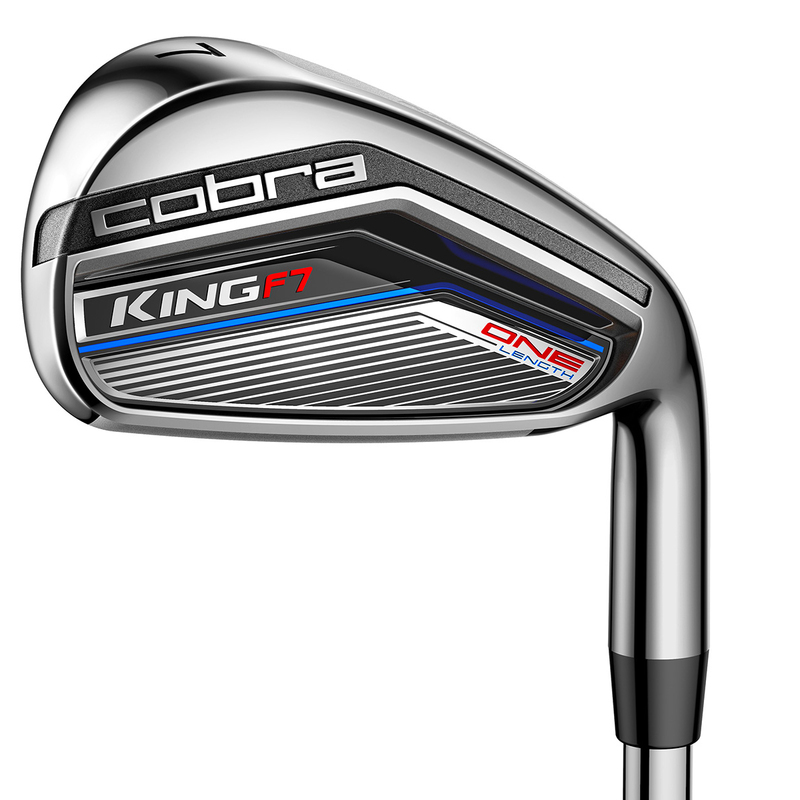 The Cobra King F7 One irons are the Cobra`s first ever single-length irons, plus feature PWRSHELL face technology for more forgiveness and greater distance. 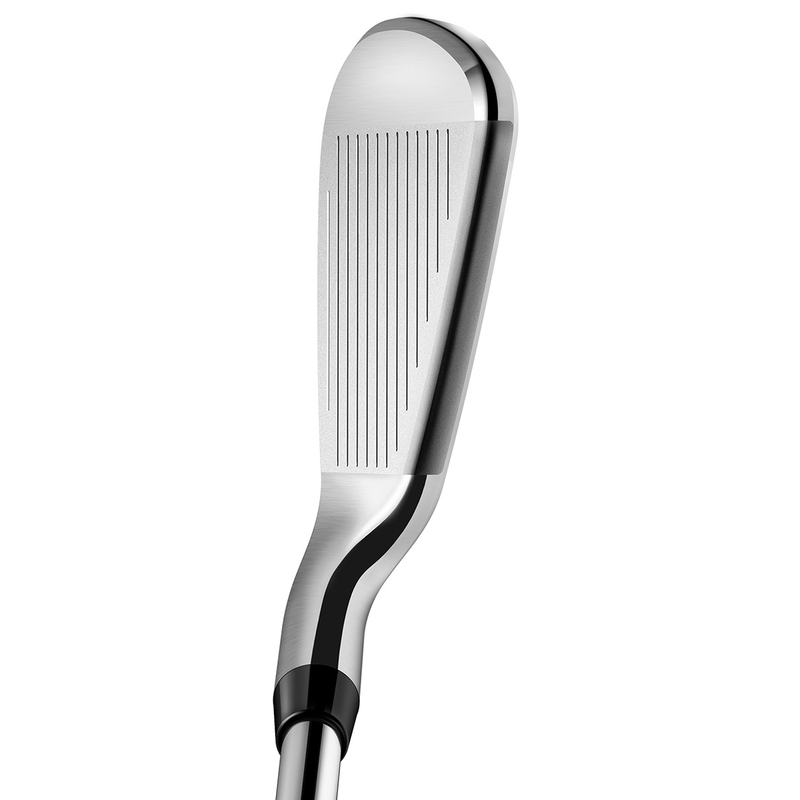 This thinner and stronger face technology delivers a extra large sweet spot for more forgiveness, plus produces higher ball speeds and extra distance. The irons also feature TECFLO progressive set technology which multi materials combine to give you the best performance throughout the club set. For increased performance the irons have a new aluminium badge which allows the centre of gravity (CG) to be lowered for added distance and more forgiveness. 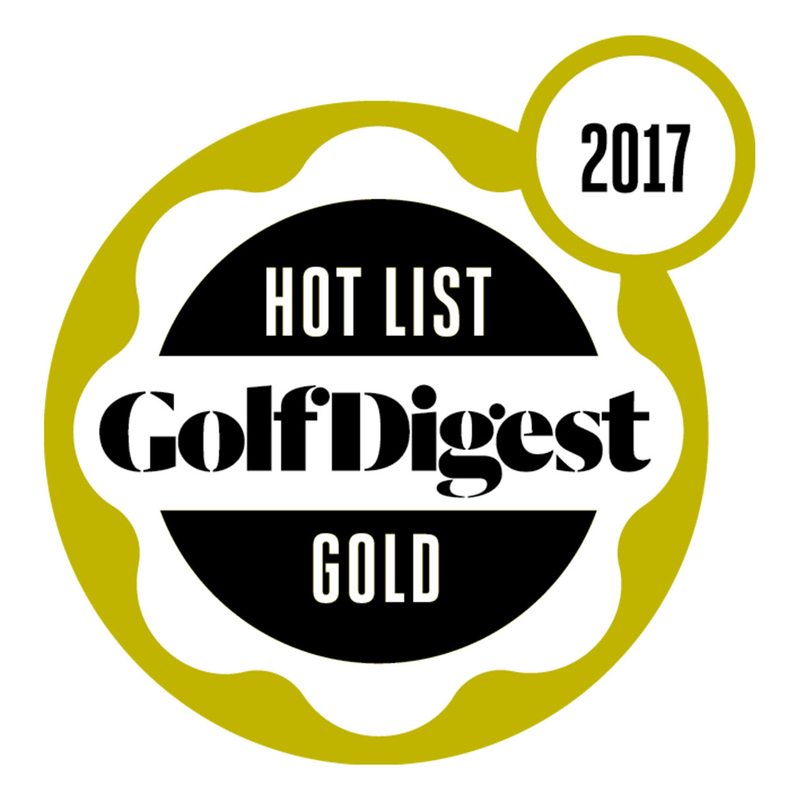 The centre of gravity is position dead centre in the club head for added precision without sacrificing forgiveness. CNC Milled grooves also increase spin and provides optimum trajectory, with improved control and workability to give you greater confidence to perform on the golf course. 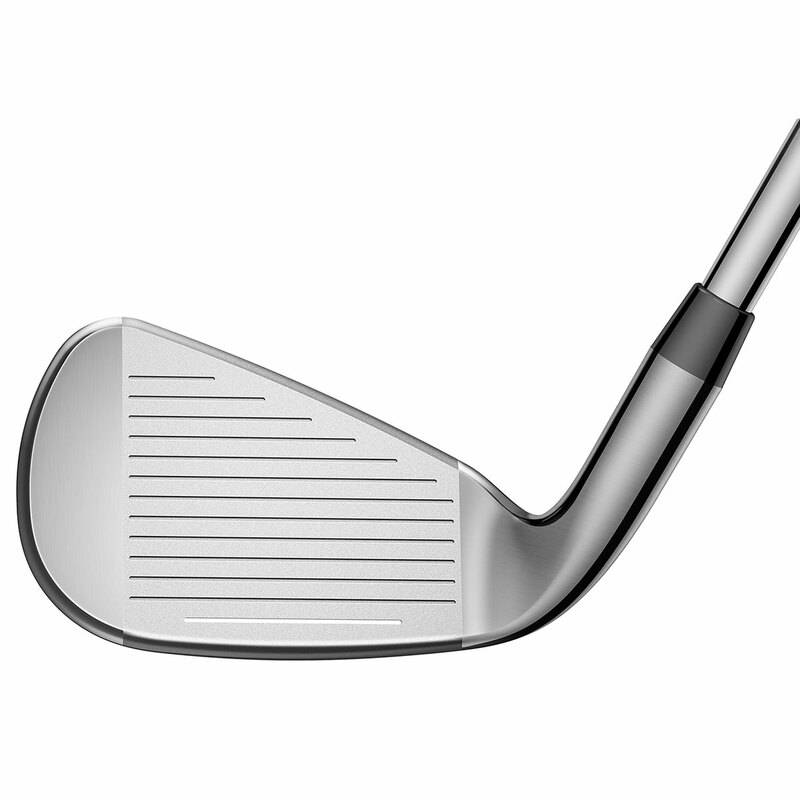 Plus have V-grooves on the 4-6 irons to reduce spin, U-grooves in the 7-PW to produce more spin, and wedge grooves to produce more spin and control around the greens.